Snow Moto Racing Freedom (SMRF) is a fun, albeit mostly bland, snowmobile racing game. Snow Moto Racing Freedom (SMRF) is a fun, albeit mostly bland, snowmobile racing game. The game’s developer, Zordix, seems to specialize in odd racing titles, ranging from jet-skis, to cartoon farm machinery. SMRF tries to capture the arcade racing feel of the general kart genre, and blend it with some of the more realistic racing games that have released in recent years. The result is a game that at time feels at odds with itself, never fitting into either the realistic or the arcade genre, and missing the mark in doing so. The main problem with SMRF is its lack of polish. There’s a lot of game mechanics and aspects to the game that just feel unfinished. For example, in every race, drivers have the ability to perform stunts, but there are only four kinds, they can’t be performed together, and they don’t serve a functional purpose other than sometimes increasing the boost meter. These stunts also net the player points which much like Who’s Line is it Anyway, don’t really seem to matter. Even when the boost meter is full, it can only be toggled on, and there’s no indicator other than the monotonous whine of the snowmobile becoming slightly higher. Beyond the gameplay elements, the graphics feel inconsistent. Certain areas, like the animations of snowmobiles ripping through fresh powder, are detailed and crisp, but others, like rock and building textures, feel like they are ripped from an Xbox 360 game. It’s jarring in-game to encounter this comparison. For example, the snowmobiles themselves are bright and vibrant, but for the most part, they’re racing across mundane white hills, past cabins and rocks that occasionally look pixelated. The lack of detail on the background elements of the environments means that they don’t feel distinct, and often races start to blend together. Luckily, the tracks between modes do feel very different. The Snocross tracks have plenty of obstacles that look very detailed, and while repetitive, do lend some variety to gameplay. The real issue is with the Sprint racing tracks, which are designed to allow players to choose which path they take in between checkpoints. With no set course for players to follow, the entire open world is theoretically a shortcut. The problem is, that open world isn’t interesting to drive through. Even the trees often just come off as a poorly rendered mess, with larger hit boxes than they should have (this makes threading between them far too difficult). Racing the AI in-game through these sprint events is also a thoroughly dull affair. Most of the AI end up taking the same path each time, making the easiest way to win following them along their pre-set route, and boosting ahead at the last second. This changes when racing against players online, but it makes the games championship races (which are necessary to unlock more snowmobiles) feel like a grind. Even then, this might be fine if the snowmobiles a player unlocked felt functionally different from each other. Most of the vehicles are indistinguishable from one another aside from speed and handling differences in-game. True snowmobile enthusiasts might be able to spot the changes, but as someone with no experience beyond the arcade game Arctic Thunder, all the vehicles felt the same to me. This could have been easily alleviated by adding some customizable elements to the vehicles, but as it stands, there are none whatsoever. There’s also the fact that each snowmobile sounds exactly the same, with only one repetitive engine noise, that after a few hours made me yearn for even the slightest change in pitch. Can you tell the difference? We can’t. Looking past the cosmetic gripes and fumbles of SMRF, I will say that there is solid gameplay underneath it all. 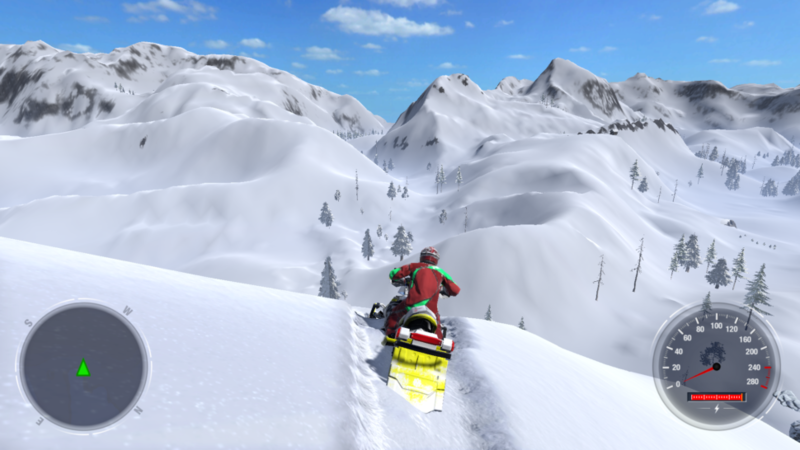 Where the game really shines is in creating an easily accessible snowmobile racing game (a niche genre that really has no competition in it). The problem is, it struggles to balance its tone. If the team at Zordix wanted to make an arcade-style racer, they should have leaned into it. More elements like jumps, shortcuts, and interesting characters could have easily made the game’s technical flaws overlookable. Instead, the game just ends up being a mediocre racing game that happens to be on snowmobiles with nothing there to make it stand out from the crowd. The game is undeniably fun, but lacking customization, polish, and has certain features that don’t feel fleshed out or complete. It’s certainly a fine game to pick up and play a few races in with friends, but the tracks quickly become repetitive and boring. 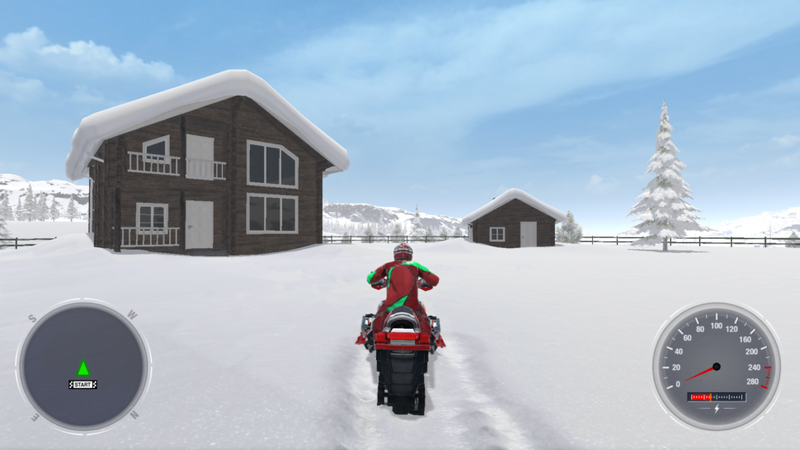 There are plenty of other racing games out there at the same price point that pack more content, better graphics, and tighter gameplay, but for gaming enthusiasts who absolutely must race snowmobiles, this one is worth picking up, on sale… Or you could go download the ROM for Arctic Thunder, your choice. SMRF is undeniably fun, but lacking customization, polish, and has certain features that don't feel fleshed out or complete.